Graduating in 2004 with a Grand Diplôme, Alexandro’s culinary training has taken him across the world from Mexico to countries such as Thailand, Italy and China. Alexandro’s culinary journey began in 2003 when he decided to leave Mexico and register for Le Cordon Bleu Paris Grand Diploma. Multilingual Alexandro’s passion for cuisine and discovering other cultures also led him to Italy and Thailand. His career really took off in his home country, Mexico, where he remained for 2 years before moving to China. In 2008, for the Peking Olympic Games, he was appointed cuisine chef for the International Olympic Committee, Canadian Olympic Committee and NBC. Following an incredibly successful experience, he went on to become Executive Chef of The Kings Kitchen in Shanghai before moving to the Renaissance Hotel. He then flew to Seoul, where he held the position of Traveling Executive Chef at Pro-Mexico, before returning to Shanghai where he was Group Executive Chef at Element Fresh Co from February 2016 to July 2018. 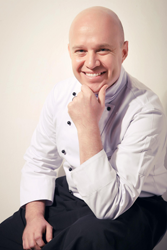 Chef Alexandro is currently Executive Chef at Midtown Shangri-La Hotel in Hangzhou, China.